Fireworks and weapons are among the list of banned objects at music festivals, but the UK’s Reading and Leeds festivals have taken it up a notch: Pineapples are no longer allowed on festival grounds. 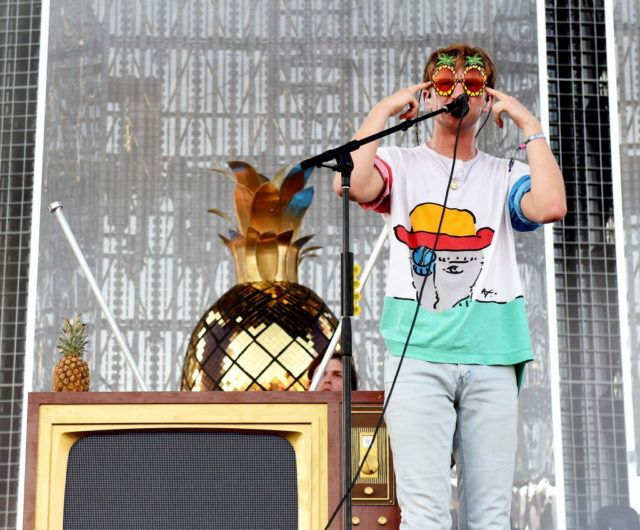 This is a nod to indie band Glass Animals, whose song “Pork Soda” has a lyric that goes “pineapples are in my head.” Fans of the Oxford band had previously brought pineapples to their gigs, and the band decorated their stage at this year’s Glastonbury with pineapples. According to the BBC, a spokesperson for the two festivals said that “organizers were a little concerned about hundreds of pineapples turning up on site so decided to ask fans not to bring them along,” adding, “The tongue may be slightly in cheek on this one.” The Reading Festival website now states explicitly that festival-goers may not bring pineapples to the grounds.